Ok since the old thread was closed I figured we need a new one so we can all gauge where we are in the MOD. If anyone is working on something Please post so we can update and figure out whats left to do. If I missed something please post so I can add it to the list. Is anyone else working on anything? Heh, Trashman is revamping sdf-1 (possible dead/prommie changes in result to that). I got the Invid commander finally from AA (got lost in the shuffle). SDF-3 appears to be gone as I hadn't heard from Accused Raptor in a year. ATM you are the only person active in model making in relation to this project, AA and arsuril are now focused on the MMO so hopefully we'll get some trickle down in the future (I touched base with them on their forums about that). I spoke to the peeps doing the Robotech movie and their stuff will be available for the games as well once they release their movie. MP has done enough (and has reasons for intermittant posting) but that does not excuse the half dozen or so other modelers who have popped in said "I will work on that" and disappear. All else is same old same old, pick a ship announce intention to work on it, actually DO IT, and then post the files so we can archive it, bug test it, and get it finished off..
That's all I got to say for now. That and continuing thanks to Matt and Game-Warden for hosting these threads for the Mod. He graciously allows us to organize here. I wish there was more activity to justify our existence here though. I would like to contribute to the mod that you are doing. I have the VF-0S of Macross Zero. Built from a 3D model of Macross voxp. I write this here, because nobody responded to the thread on VOXP mod. Thanks, not sure what VF that is (phoenix? ),but I cannot open .max files (only .3ds for you autodesk peeps). I am limited to what the old version of 3dexplration can open. Macross Zero meshes (just like M7) is not related to the Mod, but might get worked in as an Easter Egg. Sorry I missed your message in the VOXP thread. I usualy go to RAZOR's site for VOXP news. (which is a rarity as while I like the game after installing it I found the gameplay a bit less than satisfying to what I was used to). I do wish we had the instantaneous changing modes though, we have it but it freezes the game to switch in the static model. I just looked up and realized MP's list is not the official list for this mod, it's his personal modding projects. I want to have ONE open thread for WIP progress so this is it. Lately we had a run where people kept making new unnecessary threads and it was bothering me so I deleted them and merged others. To new people PLEASE read the official sticky list if you need a project to work on (and of course contact me first for details). The 3d model, is a *. X file, and was modeled in 3ds max, and finally become *. X for use in VOXP. And yes is the VF-0S Pheonix. Unfortunately I now have a source for more models, too bad they won't be for this mod. (Wrong continuity). Trying to keep the old gal alive so Matt doesn't shut us down. The Izumo & the Ikazuchi that I did some 4 plus years ago are Horrid! The difference is like night and day for me. Something else for you to look over as well. I do understand the heart ship of trying to get a mod done only to have little to no support. I know mod tools will only cover so much and do "x" thing only as long as your keeping with in "Y" and "z" limitations. StarShatter is a prime example of this and I am not going to head back any time soon. Complete and utter waste of time to a game which has no current mod support. Like I have said in the past, I am willing to help out where I can. Now for the but statement. But I would seriously want to see some sort of finished product and I am sure you do as well. How many years have we both been batting these RT mods around 7ish? And at best there are less than six others that can give the support needed to really get this thing off the ground. So for the past year, I have spent some time way from modeling in general. StarShatter and a slow down with the RobotechMMO was the back breaker for me. But after a year away, I still have the desire and the need to create and do something constructive. So I am slowly creeping back into modeling again. I would concentrate on the modeling aspect and not worry about any engine in particular. Your main talent seems to be 3d and I would guess that most mods (like this one) suffer from lack of content to draw from, if not a dedicated actual team member to draw assignments and fulfill them. 15% of this mod pre-existed, the rest is all donated by non-dedicated team members from SEVERAL communities. If you could look behind the scenes no doubt anyone would be impressed. The sad fact of the matter is a mod takes work, and if no one qualified to do that work is available a mod goes no where. For example I've had 3 offers for the turrets but no call backs. I'm thinking about making a thread for future antics called, "The wall of shame" as a way of venting my frustration. 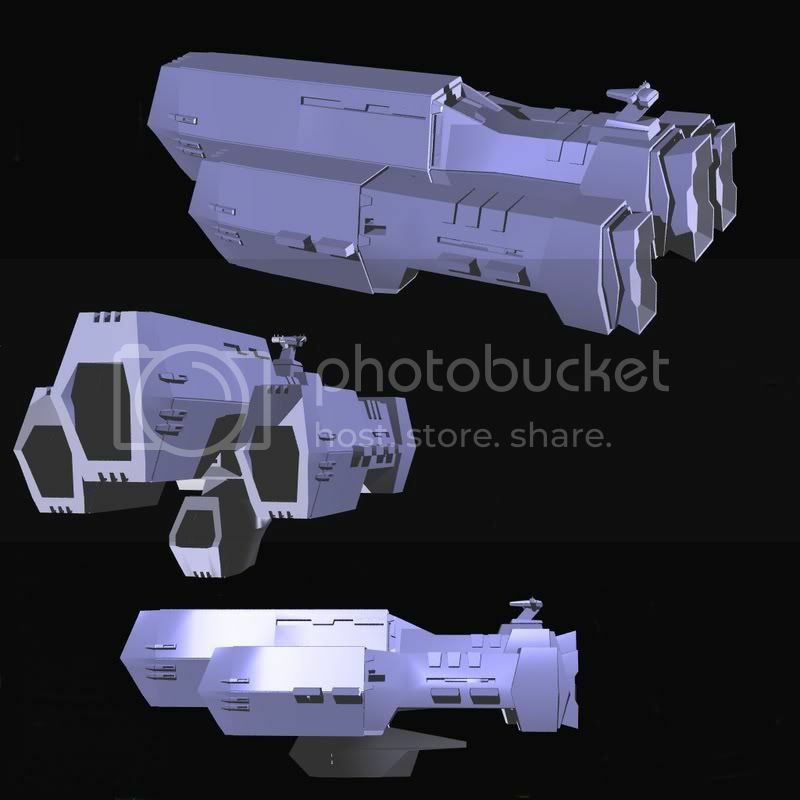 You used to have a site for Model DL's, if you have a new one I would simply post them and let various projects credit you and instead of moving from project to project, let them come to YOU. As opposed to most other RT/Macross projects I have an actual list of what still needs to be done (at least as far as the 3d section is concerned). Because of my fear of never completing it I haven't been as forceful in pursuing the other avenues (like voice acting, script finalizing). I found a few people I wanted to tap for roles, but what's the point if the main content isn't there? At this point as far as FS2 support goes I am not even worried till 3.6.10 comes out. I will need someone who can mount multi-part turrets (unless I want to make every ship static or single point). And there might be some code issues needing a look see. Don't get me wrong a mod could be thrown together with what we have now, but it would pale with what we COULD do and that was the whole point of me asking MAX to take over the old project, to replace models, add voice acting, and actual MISSIONS in a campaign like format recreating the best battles of the Macross saga. The REF content is just gravy. We skip Southern Cross entirely for now (Because the ground mod team is "STILL WIP" over at FS2 sector). And while I admit I've been pretty slack, I go where the action is. If that means I can grab anime meshes for my fanfic as opposed to ones for the mod then that's what I do. At least ONE project makes progress I can do. Don't you realize how phenomenal that old model is? It also blows away Shadow Chronicles completely, which pleases me to no end!!! So please keep me informed of any new developments you make and when meshes become available should you decide to continue supporting this effort. DUE TO LACK OF ACTIVITY this mod is in danger of losing it's hosted status and thus being relegated back to a single thread (like my non-hosted Trek thread here). If that happens, I will just maintain that single thread and have ALL my projects share it thus no need to clutter the forum with multiple loose threads. So let me ask you this question, if I was able to take on all the modeling aspect and provide the entire REF fleet. Including new Alpha & Beta Fighters with the possibility to transform in the future. If the game gets coded to do so at some point. Where would we stand with this project? I am still going to help the RTMMO guys out but that is a long term project. So many of us are just wanting to get something done and working. 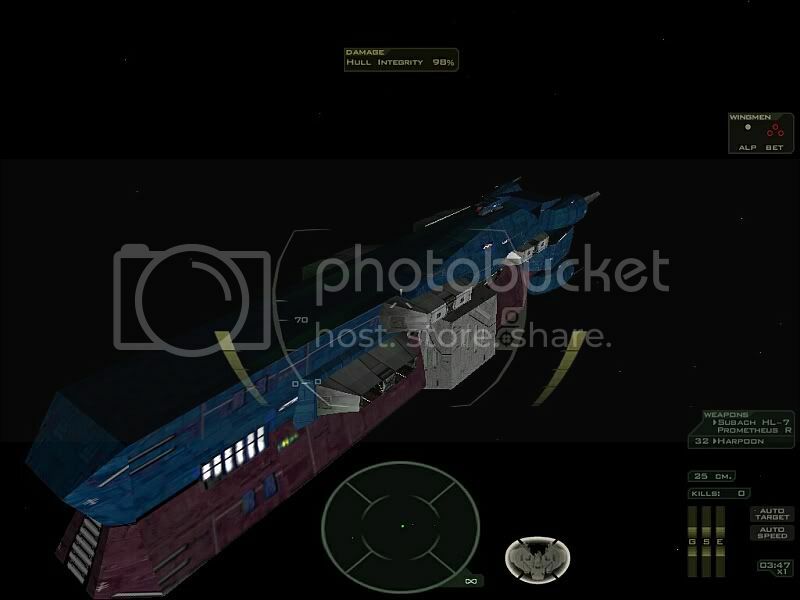 As for my old web-site that has been long gone and it was provided to me for the work I did with Star Fleet Command game engine way...way back in the day. I currently do not have a new site and frankly I do not have the funds to do one at the moment. But its not a bad idea to do and I will have to add that to my future list of things to do. I am more than willing to help. I know you have heard that before time and time again and I slowly just fade away. Like everyone else its not that we do not want to help but for some they can not see the light at the end of the tunnel. They get frustrated and slowly loose interest and fade off into the oblivion. I am spending more time getting back into the swing of things again it means I am modeling more. I am not going to go nuts wild and do model after model. Prime example the Izumo , I am on day 3 or 4 on it, just putting in an hour or two a day and letting it sit. The key point I guess I am attempting to make here and not very well. 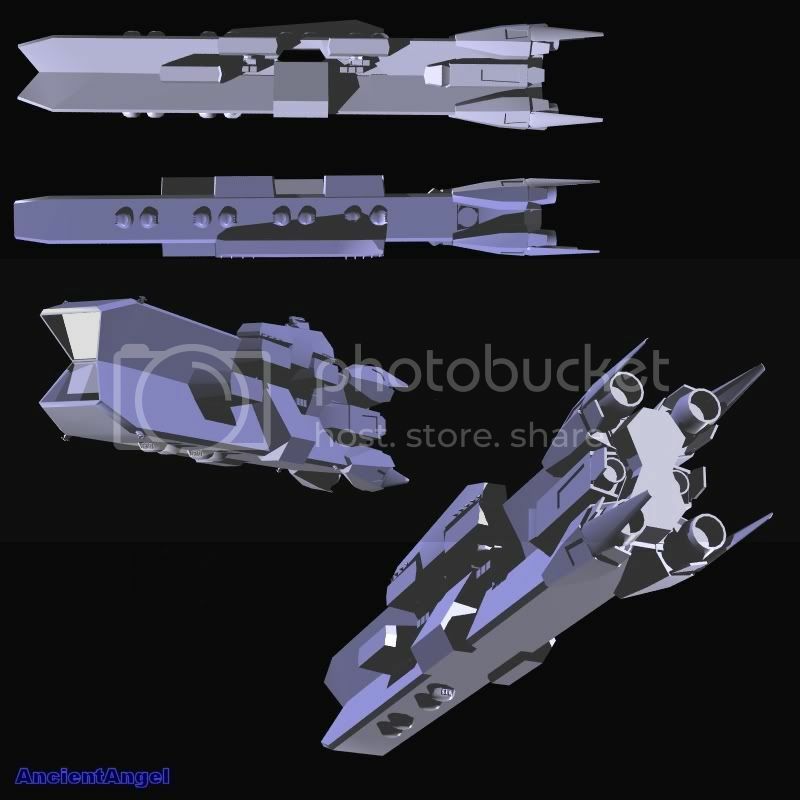 If lets say we get the entire REF Fleet put in game and some what running. I would hope this would build some interest back into the Mod. Not that I am counting on that happening. But hopefully others would come on board in order to help with future coding and fresh ideas to make this beyond out standing Rt Mod. If that means throwing in untextured ship models into the game at first then so be it. Doing so would allow you and hopefully others to work out the kinks and get them functioning properly in-game. 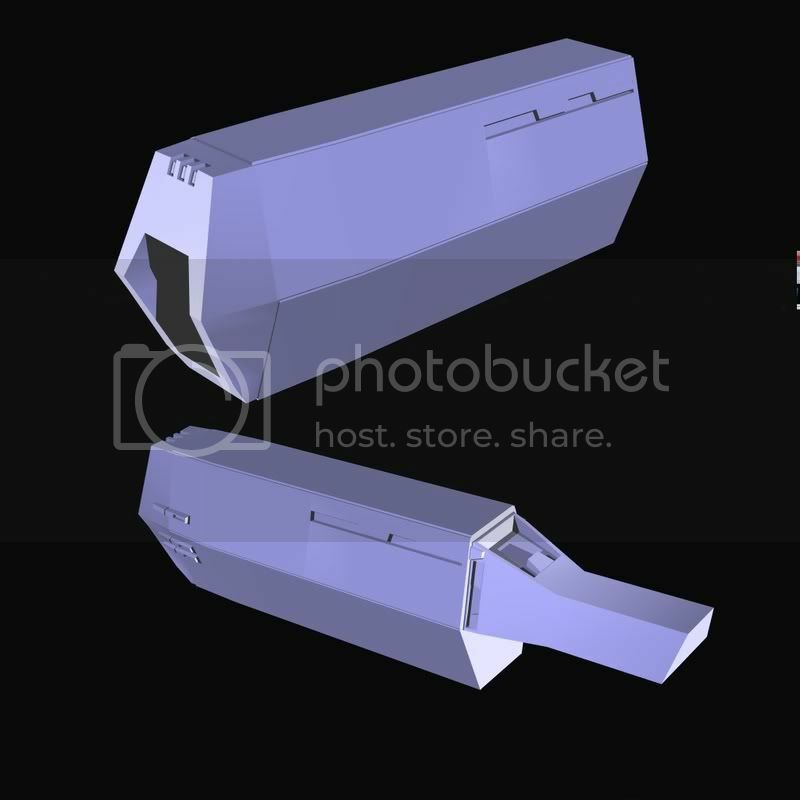 Turning out 3D models is fairly easy compared to placing textures on them. Please think about it and roll it around for a day and we will take it from there. Yet another up-date. Got both side hulls some what detailed and roughly put in place. Still need to do the lower hull and then the side struts that connect the left and right hull to the main center line hull. Poly count is just a tad above 2800 right now. I am aiming for 3400 with out all the thrusters and fins put into place. 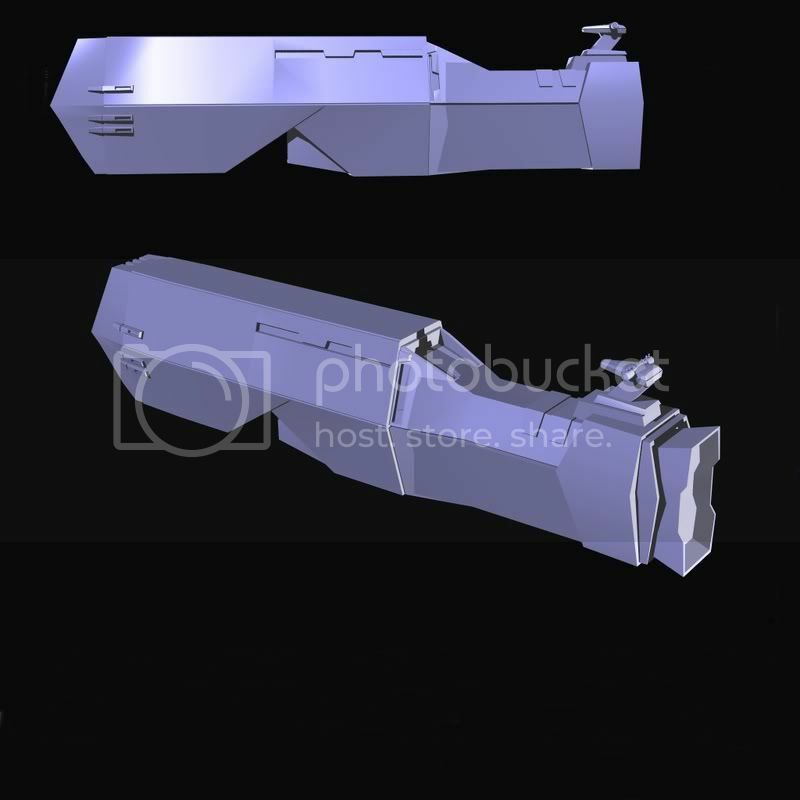 Each side hull have two docking areas on them. My guess is the top one is for quick VF combat landings (shrug) the other looks like its big enough for Horizonts. Concept seems to be like a Marine Amphibious Assault Carrier the more I keep looking at it.